There are many ways to get involved with the PRO Detailer magazine. We are always looking for interesting people and organisations to work with, be that experts in a certain technical field, or developers of a cutting-edge technology. Alternatively, if you run a car event or are involved with an owners club and would like some exposure, we are more than happy to oblige. Many of our product tests and reviews are carried out with readers, enthusiasts, and PVD car care professionals - if you would like to get involved with the New Products or Megatest team, complete the appropriate form below and we'll keep your details on file for when an opportunity arises. Finally, we are always looking for feedback and ideas for articles - have your say below. Are you running an event with some sort of car care element - a Show'n'Shine perhaps? Concours? Arrive'n'nShine? In which case you can get your event added to our Calendar FREE - this is published both in every PRO Detailer Magazine and online. Simply click on the 'Submit an Event' button and complete the form. We recommend completing this on a computer as opposed to a tablet or smart phone. Are you a PVD Member or Supporter with a stand at an event? If so, we will list the event and your presence there for FREE too. These will get precedence on the Calendar and magazine listing. Alternatively, if you would like to right an article about a show - either one you have attended or one you are involved with, we can publish it online for you. The best reports may also make it into the magazine. The first issue of the PRO Detailer magazine was simply a compilation of 'How-To' guides for everything from the safe wash to headlight restoration. Since then we have added many new elements, most recently the hardware section, but there is still a core of guides in every issue. We get asked questions about car care on a daily basis - sometimes they are quick and easy to answer, sometimes they need a full explanation. While we have covered most topics in light detail already, we are always looking to go into greater depth in certain areas, and produce updated guides as products and technologies develop. If you would like to see an article on a particular topic please complete the click on the button and complete the request form and we will endeavour to help - either in the magazine, online, by email, or all three. The car care industry is constantly evolving with new products, equipment, and methodologies. The PRO Detailer Magazine is here to keep both enthusiasts and professionals up to date with the latest developments. Anyone can submit a new product, accessory, or piece of equipment. If you are an enthusiast or professional and feel a particular product deserves a mention, or if you are a manufacturer wanting to publicise your latest creation - simply click the 'Submit a Product' button and fill in the form. Please have photos ready to upload directly on the form. We advise doing this on a computer rather than a tablet or smart phone. We will make every effort to feature your product in the magazine - PVD Supporters will get preference and an online release. As a trade association we also offer product testing and approval services directly to manufacturers. This normally involves sending out pre-release products to 25 members to test. They then provide feedback so manufacturers can perfect their new products prior to releasing them. 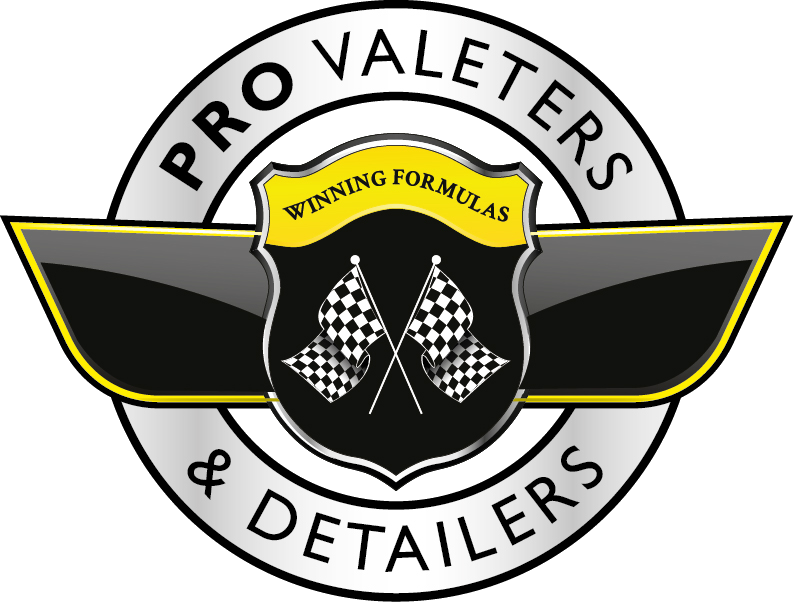 Products that score well also benefit from the PRO Detailer Approved status. For details, click the 'Find out More' button. In the second issue we launched the Megatest section with a vast eighteen product blind-test involving thirty volunteers. Each product was decanted into opaque white bottles with a QR code that linked to instructions and an online score sheet. Nothing on this scale had ever been attempted. Each Megatest also has a charitable element - all the remaining products are sold at Waxstock to raise money for good causes. Issue three saw a monster Quick Detailer test with over seventy different products entered, while the fourth issue took over a thousand pounds worth of paste waxes to the lab for some seriously scientific workouts. While the products entered into each test are selected in various ways, we are always looking for volunteers to be involved. Complete the application form and we will add your details to the database for future tests. If you would like to submit a mini review for a product or piece of equipment, please click the 'Submit a Review' button. Please note, these are designed for product users - amateur or professional - and not for product suppliers. Appropriate reviews will be published on this site and may be used in the printed magazine. The Trader Talk section is perhaps the most diverse in the magazine - covering everything from guides to running a detailing business to polemics on industry issues. We also do a number of interviews with leading characters in our trade and the motor industry at large - this has included the founders of Dodo Juice, Piston Heads, and Detailing world. This section is ideal for companies and individuals who might not be directly connected with the car care industry, but have expertise in areas that are relevant for those running detailing businesses. If you would like to contribute an article, or indeed put yourself forward for an interview, please complete the form and we will be in touch. The Showcase section is essentially a portfolio of some the most interesting projects PVD Members and Supporters have been involved with. Write-ups have always been popular on forums, so we thought it would good to translate this into print but keep the key elements - big photographs, story-line style, and useful list of products and processes used. Each magazine has a theme - Issue 5 is Italian Stallions. A good Showcase feature is not necessarily about the car - we look for interesting details on mundane cars just as much as conventional valeting on exotica - the sweet spot being a stunning detail on a jaw-dropping car. If you are a PVD Member or Supporter, you can upload your write-up here. We will endeavour to feature it in the magazine and or in the News section of this website. At the end of 2015 we were asked to put together the Show Guide for Waxstock - our favourite show where we launched PVD back in 2012 at the first Waxstock in Peterborough. We are already putting together the second Show Guide for the 2017 event in Coventry. If you would like to be involved with the guide - there are various editorial opportunities available - please get in touch. We are particularly keen to hear from exhibitors - perhaps you are releasing a new product at the show, or have a special offer? We are always looking for ideas and feedback for the magazines - it's hard for us to tell what works and what doesn't without our readers giving us at least a hint! The video runs through the first four issues and the original Waxstock Show Guide to demonstrate how the publications have developed thus far. If there are areas that you really like, could live without, or would like to see added in please complete the form below and we will do our best to improve.